Laser Light Heat Transfer Paper is for white and light colored fabrics and is the easiest to use. It produces the least "hand" or feel in laser printing. This paper peels easily and will feed through most laser color printers and laser color copiers. Print with laser printer only. Apply to white or light color fabrics only. Print using mirror image setting. Set printer quality to normal to photo image. quality. Over saturating the ink will cause ink bleed during launder. 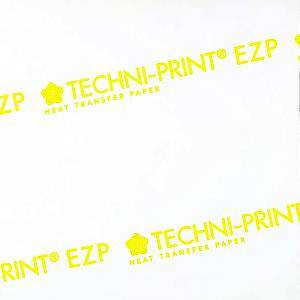 Keep transfer paper in moisture resistant protective sleeve when not in use.